Training, mentoring, and investing in world-class tech entrepreneurs in Africa! We provide world-class training with the help of an internationally recognized faculty who each bring more than 20 years of experience in the software business in the United States, Europe, or Asia. Our teaching fellows hail from some of the best universities around the world like Oxford, Stanford, Harvard etc. We also offer our entrepreneurs-in-training the opportunity to be mentored by real life entrepreneurs, CEO’s and other executives from all over Silicon Valley and Europe via our Guest Lecture Series. These lectures have featured executives of Uber, Facebook, Safaricom, Samsung, Interswitch, and many more. Since inception, we have invested over $20million in training over 400 individual entrepreneurs and 25+ high technology companies across Africa. 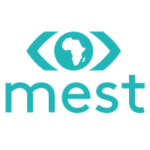 MEST entrepreneurs have developed solutions addressing local, regional and global markets, received follow-on funding from global investors, and gotten into top accelerator programs such as Y-combinator, 500 startups and TechStars. – Strong social and communication skills. – An energetic, positive attitude. – Can commit a year in Accra, Ghana participating in the training program starting August 2018.